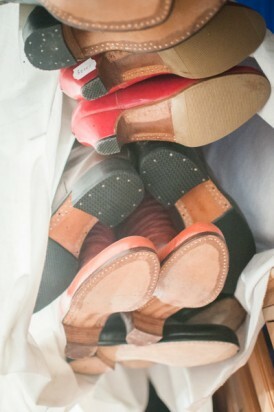 “ My new boots are hung at the nail, rust covers its spurs”… “My darling wears framed boots, she loves me really”…”My boots are knocking that you already do not love me” At a wedding party we are singing these tunes: folk songs, lieders, proverbs, full of folk wisdom pertaining to the boots. But you could barely meet nowadays the boot maker, who created the boots, reminded in these old words. 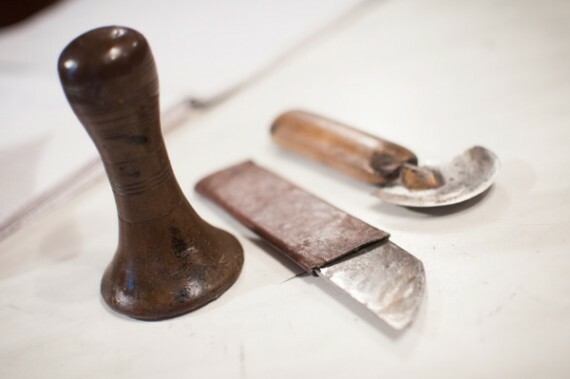 And whose knowledge and tools were handed down from father to son. “The Hungarian hussars wore high boots of soft upper. 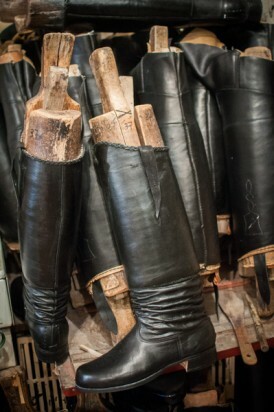 Hard upper boots were started to produce around 1910. The peasants preferred it, because it was good-looking, and gave an easy gait. “ You must see a lads’ dance of Kalotaszeg, or a recruiting dance of Vasvár – palms are clattering loudly at the uppers! 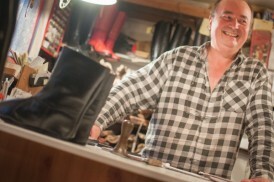 “The first piece of the boots is the upper. After stitched together, it is turned inside out “. 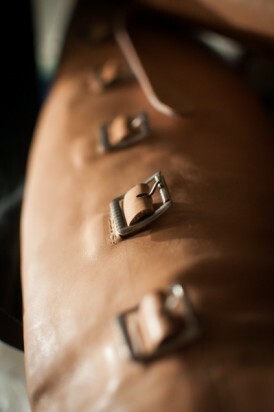 To get a hard upper, the leather is hardened, and the upper contains Kraft and a layer of burlap, glued together. 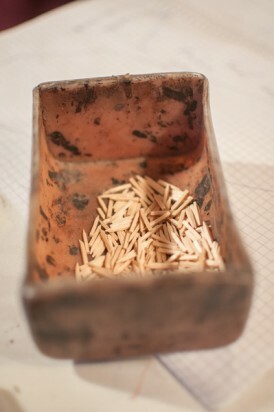 You must work fast, because you can turn out the upper until the paste is soft. The next point is the bootlast. 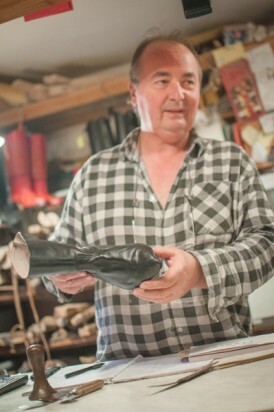 Burred boots are made on a special wooden mould. 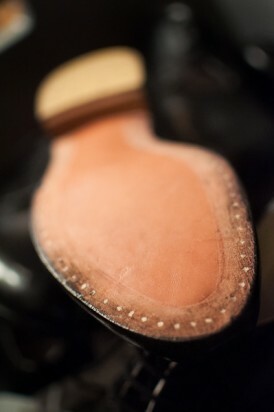 The leather for the head of the boot is formed on this last. 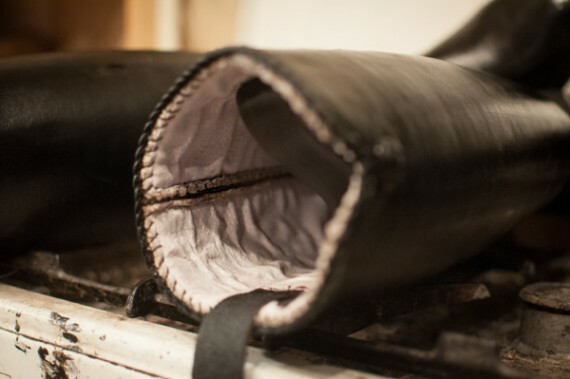 The other procedure is the tongue one, when a separate piece of leather connects the head and the upper. Head is formed first; a layer of skips serves for buttressing. 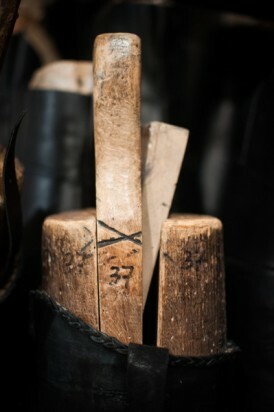 In contrast to the shoes, head of the boots are fastened to the sole by wooden pegs, not by sewing. The last phase is the listing the edge of the upper. The boots of women and kimmers itself is a prestige and beauty. Its type and pattern depend on the region, being the same mostly for 4-5 villages. At Kéménd, the red boots decorated with globular bells was matched with the multi-layer short skirt. 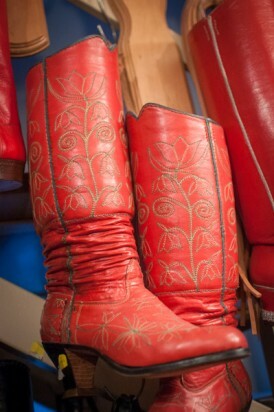 At Méra, they wore rich textured, wrinkled red boots. 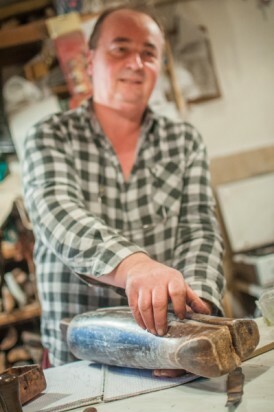 At Rimóc, the traditional boots were burred, sutiled ones, made of lacquer leather. 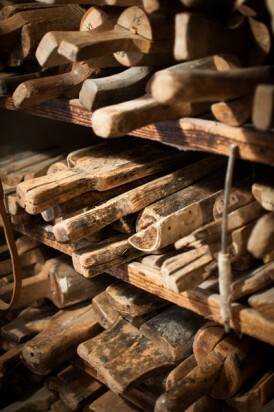 Having taken great care of them, these were used on Sundays and special events only. 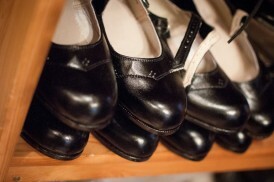 Women brought the boots in hand to the front of the church; just there they stepped into them. 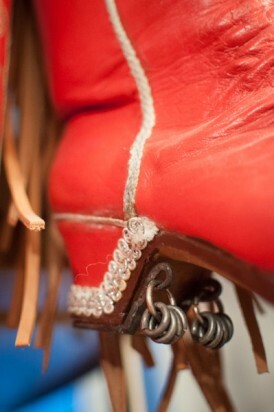 These boots are ordered mainly by dance groups, or bought for tradition. 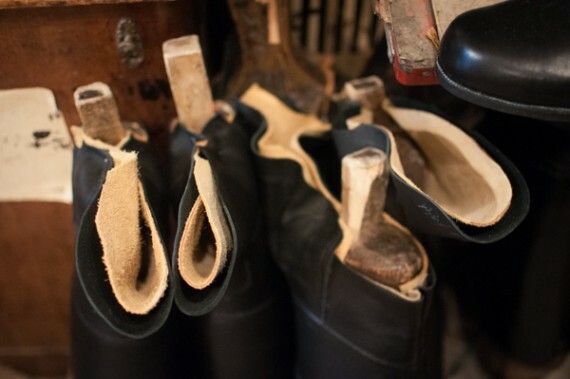 Here, at the boot maker workshop decorated by gold diploma, guards’ boots, Bavarian boots with large buckles, riding boots (the high uppers are for defending the ankles) are made. 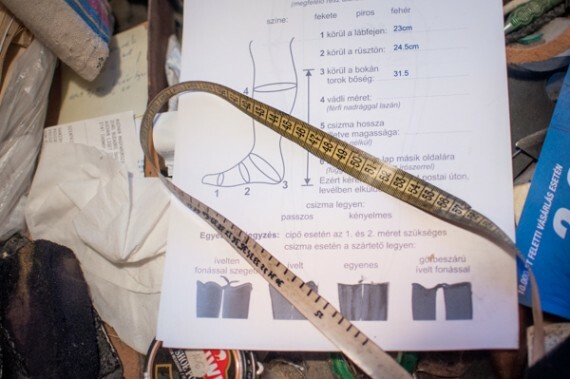 And, for virtue-loving folks using these at the “ancient” Hungarian wrestling, high-upper slippers were fabricated, what Mongolians are fixing to their feet with bands. 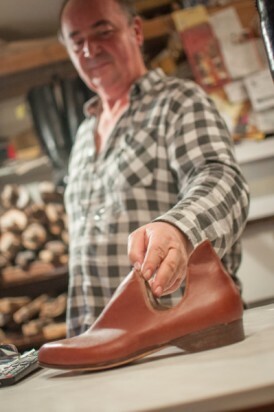 An important piece of the traditional folk wear is the “character shoe”. It used to be called “reaper” shoe. Laces or straps fixed it. On it, women went out to the grain fields to harvest, to defend their soles on the stubbly field. An other particular type is the “renaissance” shoe, with U-shape cut-outs, elevated heels, and pointy nose. A pair of boots of hard uppers is ready in 18 hours. It is interesting that at the beginning of the last century a Ford Model T was assembled in 19.5 hours. Few people could afford both. 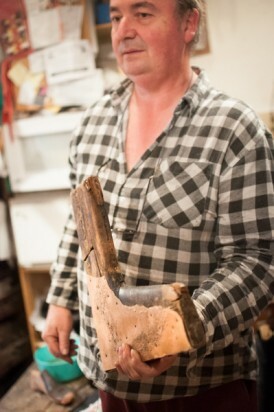 Well, this is the trade of boot making.